destinationheaven: The funniest movie ever...! Groundhog Day is a 1993 comedy film directed by Harold Ramis, starring Bill Murray and Andie MacDowell. It was written by Ramis and Danny Rubin, and based on a story by Rubin. In the film, Murray plays Phil Connors, an egocentric Pittsburgh TV weatherman who, during a hated assignment covering the annual Groundhog Day event (February 2) in Punxsutawney, finds himself repeating the same day over and over again. After indulging in all manner of hedonistic pursuits, he begins to reexamine his life and priorities. In 2006, Groundhog Day was added to the United States National Film Registry as being deemed "culturally, historically, or aesthetically significant." It is listed as the 176th most popular movie at the Internet Movie Database as of Groundhog Day, 2008. Self-centered TV meteorologist Phil Connors, his producer Rita, and cameraman Larry from the fictional Pittsburgh television station WPBH-TV9 travel to Punxsutawney, Pennsylvania to cover the annual Groundhog Day festivities with Punxsutawney Phil for the station. Phil, who has grown tired of this assignment, grudgingly gives his report and attempts to return back to Pittsburgh when a blizzard that he predicted would miss the area shuts down the main roads, forcing Phil and his team to stay in town an extra day. Phil wakes up to find that he is reliving February 2 again. Everyone else is repeating the same actions as the day before, seemingly unaware of the time loop, though Phil remains aware of the events of the previous day. At first he is confused, but, when the loop continues, he starts to try to take advantage of the situation without fear of long-term consequences, learning secrets from the town's residents, seducing women, stealing money, and driving drunk. However, attempts to get closer to Rita are repeatedly shut down. With each passage of the loop, Phil becomes despondent; during one loop, he kidnaps Punxsutawney Phil and after a long police chase, drives over a cliff, appearing to kill both Phil and the groundhog. 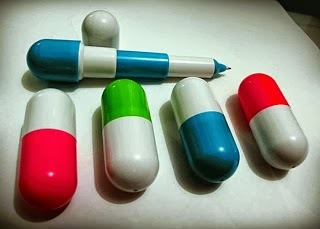 However, Phil wakes up in the next loop and finds that nothing has changed; further attempts at suicide are just as fruitless as he continues to find himself back at the start of February 2. Phil continues to try to learn more about Rita, and when he reveals his situation to her and the knowledge he's gained about the town's residents, she opens up to him and suggests he try to use his situation to help benefit the town. Phil uses her advice and the time loop to help as many people around town as possible, as well as bettering himself, such as by learning to play jazz piano and speaking French. Phil, now engrossed with the town's celebration, is able to admit his love to Rita, and she accepts and returns his love. After the evening dance, the two retire together to Phil's room. Phil wakes up the next day, and finds the time loop has broken; it is now February 3 and Rita is still in bed with him. As the team prepare to return to Pittsburgh, Phil and Rita talk about eventually settling down in Punxsutawney, but they'll "rent first." 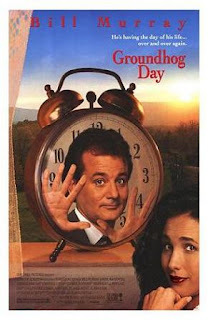 Groundhog Day was a solid performer in its initial release, grossing $70.9M in North America and ranking 13th among films released in 1993,but did not achieve blockbuster status. It found a second life on home video and cable, entrenching itself as one of the great American films of the late twentieth century. The film is number thirty-four on the American Film Institute's list of 100 Funniest Movies, and Roger Ebert has revisited it in his "Great Movies" series. After giving it a three-star rating in his original review, Ebert acknowledged in his "Great Movies" essay that, like many viewers, he had initially underestimated the film's many virtues and only came to truly appreciate it through repeated viewings. This film is number 32 on Bravo's "100 Funniest Movies". In Total Film's 1990s special issue, Groundhog Day was deemed the best film of 1993 (the year that saw the release of Schindler's List, The Piano and The Fugitive). In 2000, readers of Total Film magazine voted it the seventh greatest comedy film of all time. The Writers Guild of America ranked the screenplay #27 on their list of 101 Greatest Screenplays ever written.It currently garners a 96% "fresh" rating on Rotten Tomatoes. Groundhog Day is a tale of self-improvement, to look inside oneself and realize that the only satisfaction in life comes from turning outward and concerning oneself with others rather than concentrating solely on one's own wants and desires. As such, the film has become a favorite of Buddhist, Christian and Jewish leaders alike because they see its themes of selflessness and rebirth as a reflection of their own spiritual messages. It has even been dubbed by some religious leaders as the "most spiritual film of our time." In June 2008, AFI revealed its "Ten top Ten"—the best ten films in ten "classic" American film genres—after polling over 1,500 people from the creative community. Groundhog Day was acknowledged as the eighth best film in the fantasy genre.